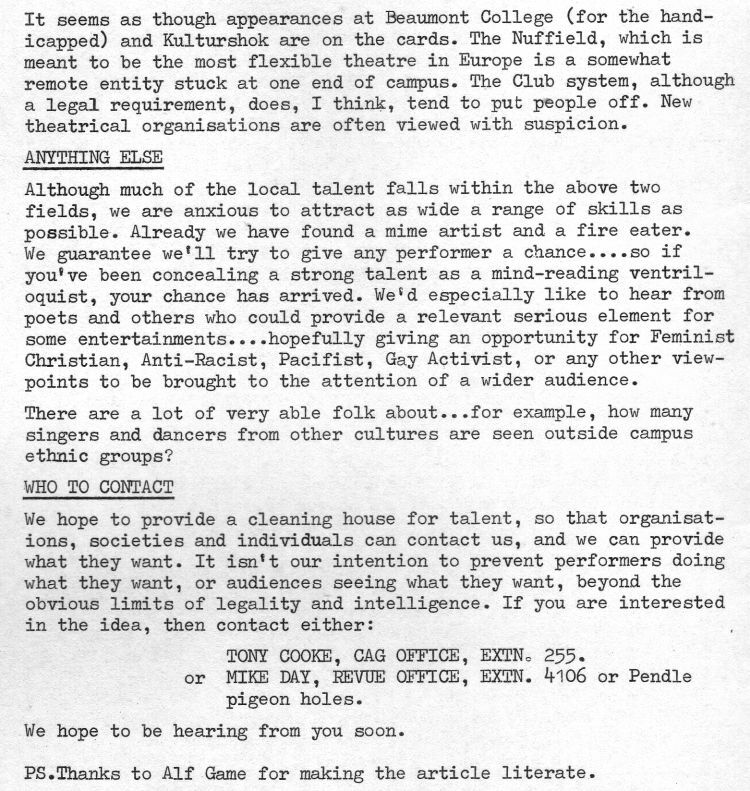 "The idea was to give local campus societies, bands and individual performers the opportunity to perform anywhere, anytime, for anyone. 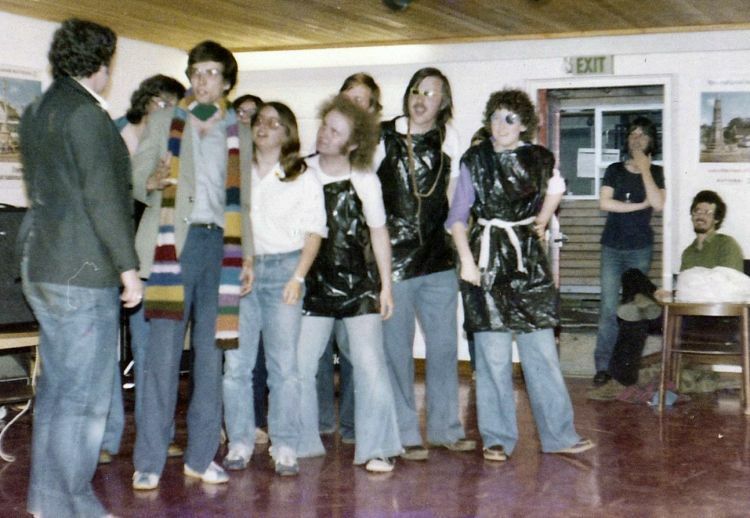 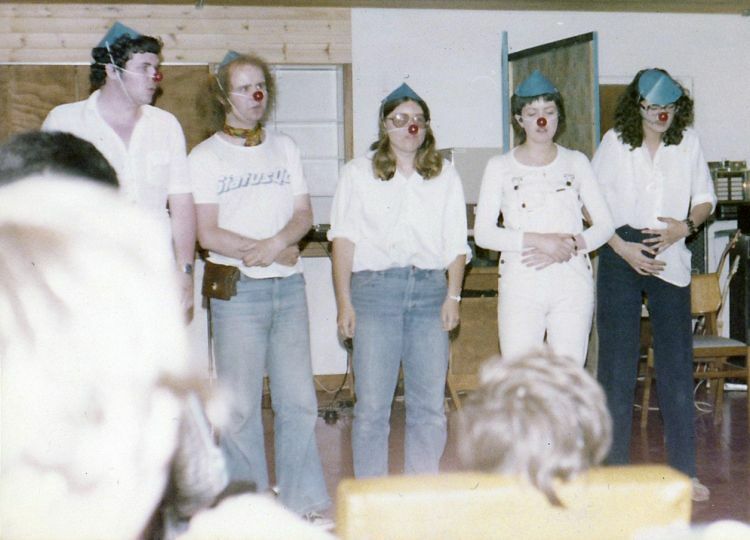 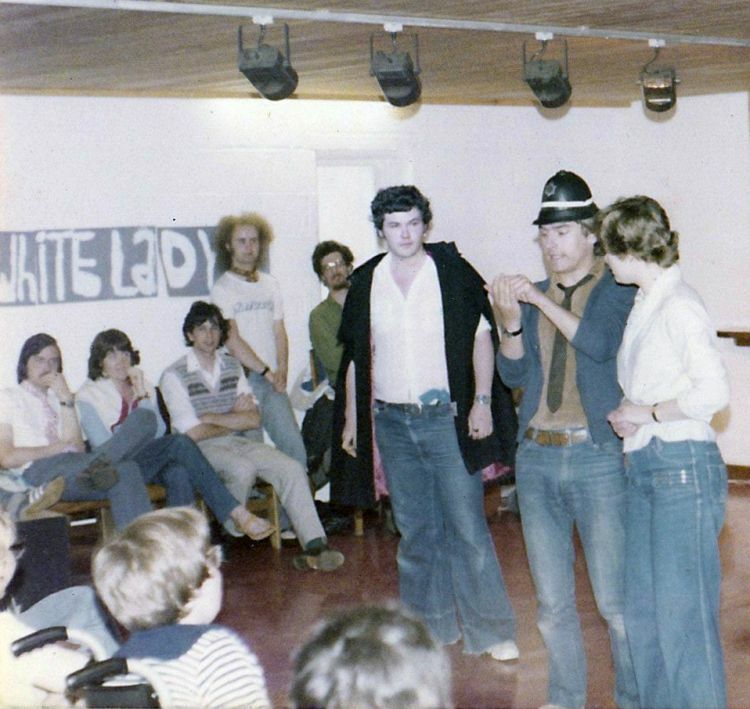 It was started by Revue Group along with Community Action Group; the idea was also to give people as much experience as possible with every conceivable type of audience. 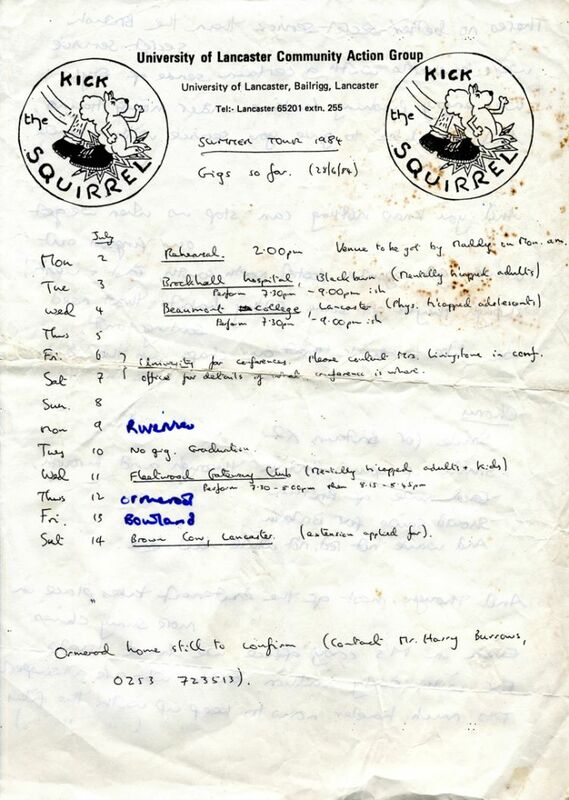 So for the next five summers KTS toured the north west, visiting kids' homes, pubs, clubs, streets and anywhere else that would have us. 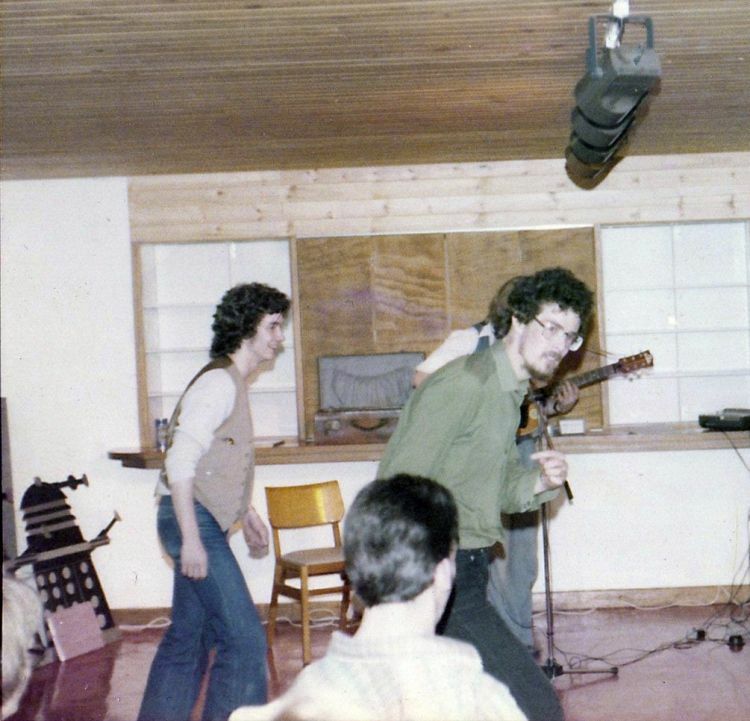 The highlight was probably the Illawalla Country Club in 1983, where we were paid to go off. 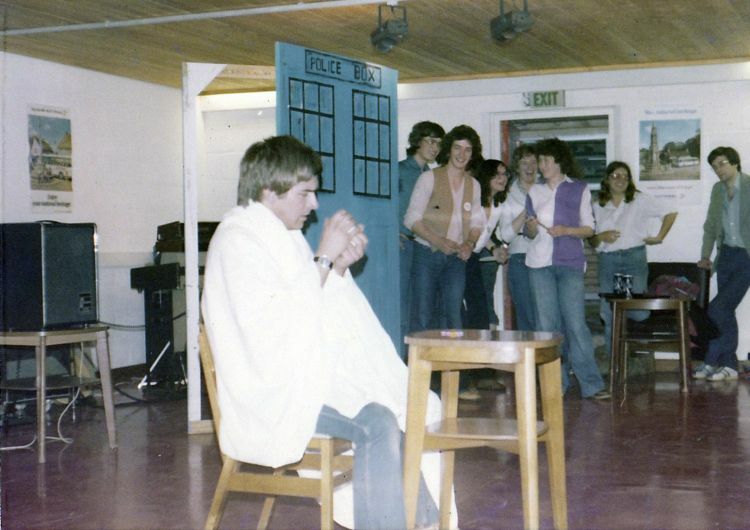 KTS meant that we could only concentrate on one show a year. 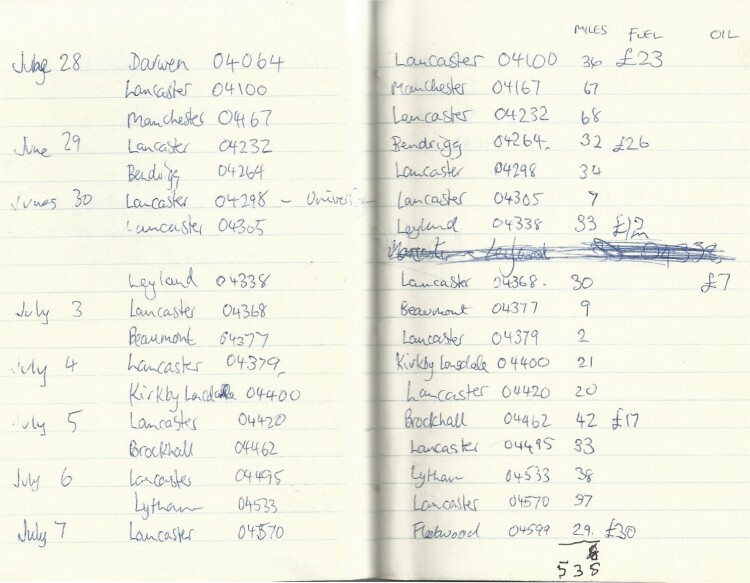 It's no coincidence that LURG's Edinburgh visits stopped for the entire duration of KTS, restarting the year after its final performances. 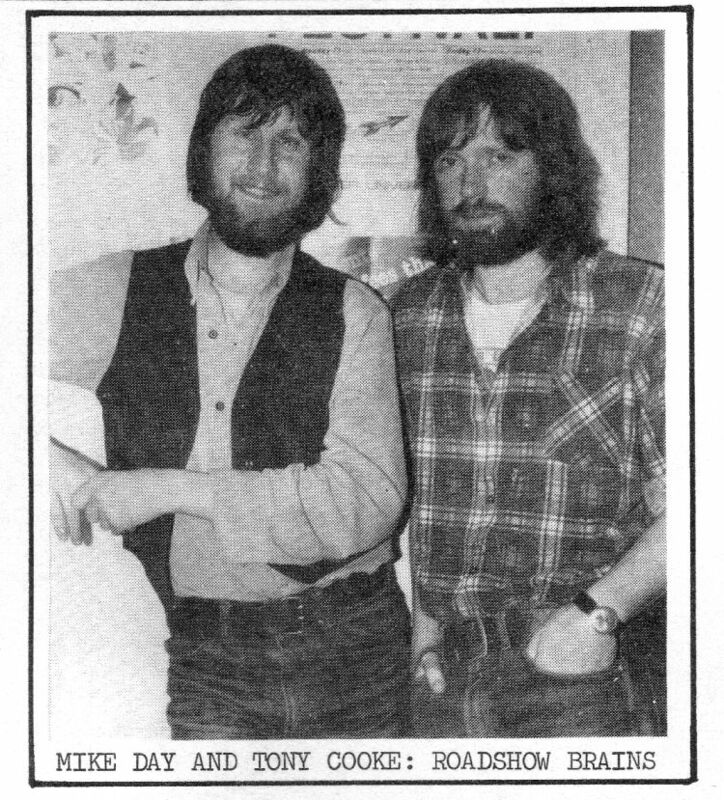 Scan article from May 1979, by Mike and Tony, describing the original KTS objectives. 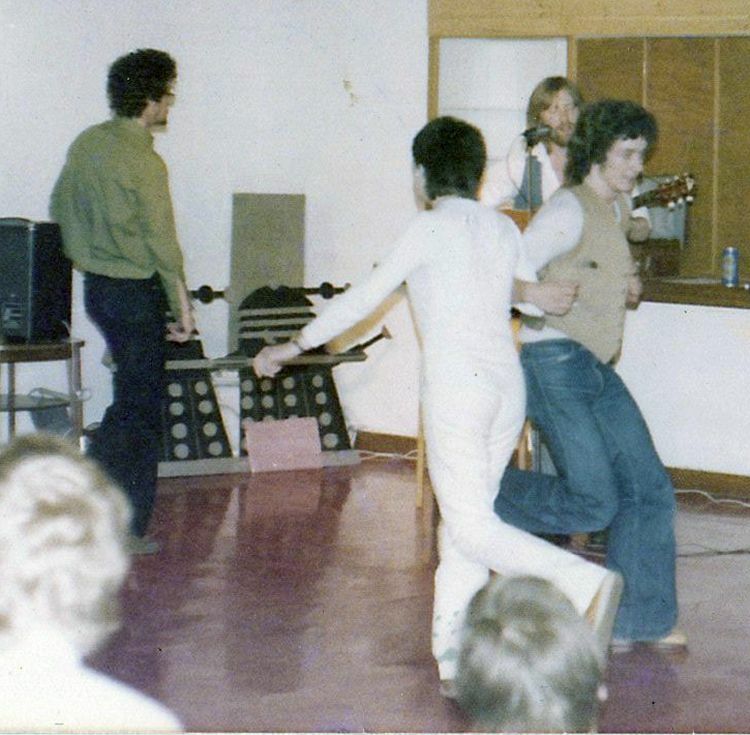 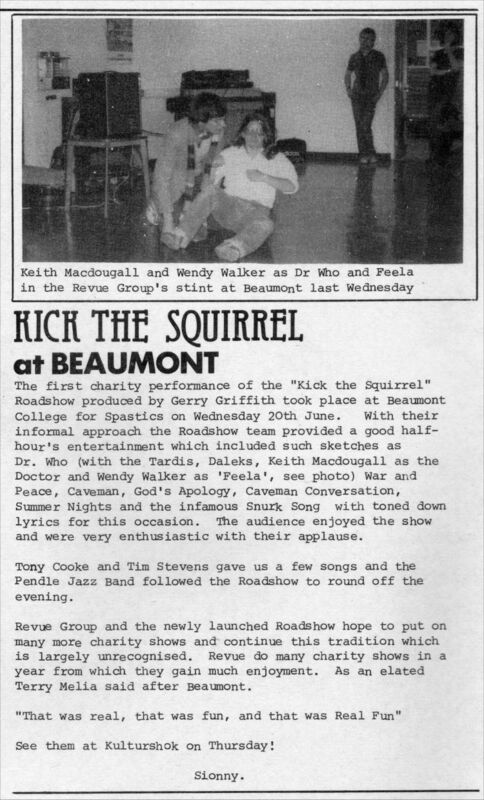 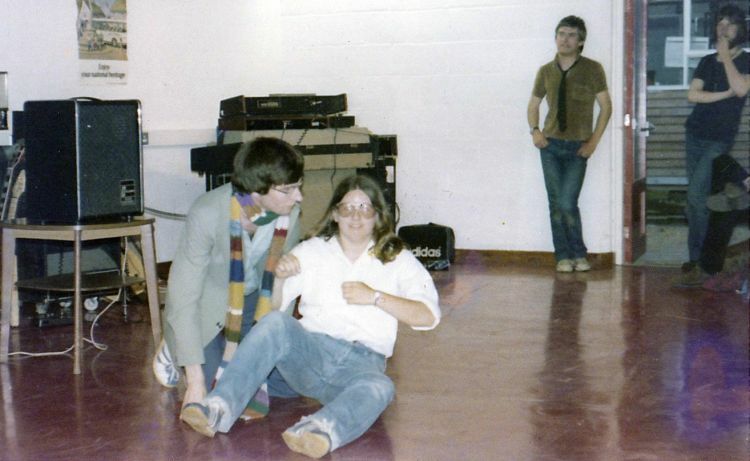 Scan report on the first KTS performance, at Beaumont College, 20/June/1979. 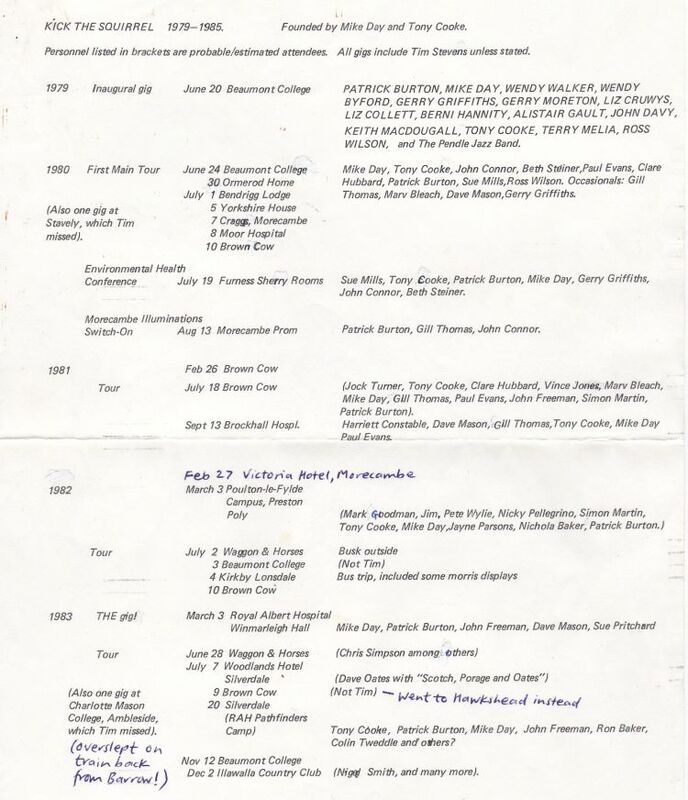 A list of performances during 1979-1985, along with personnel, compiled by Tim Stevens. 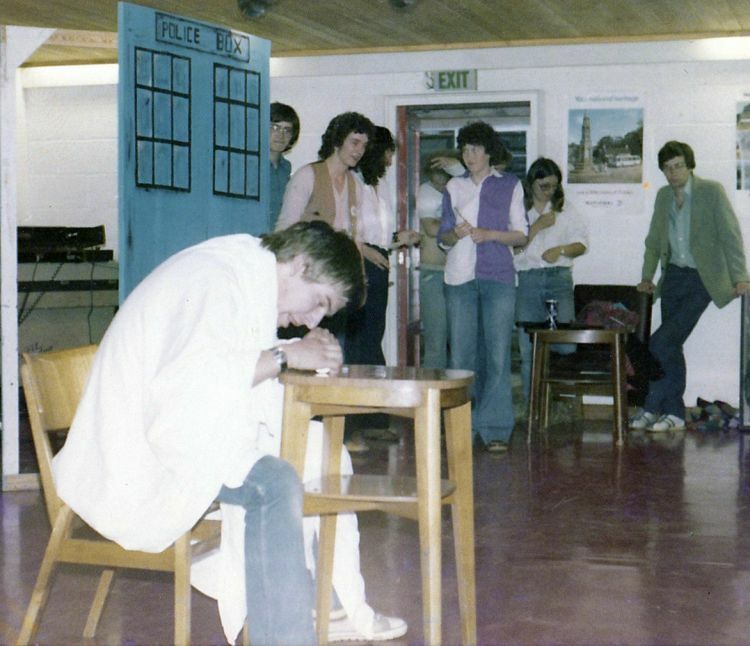 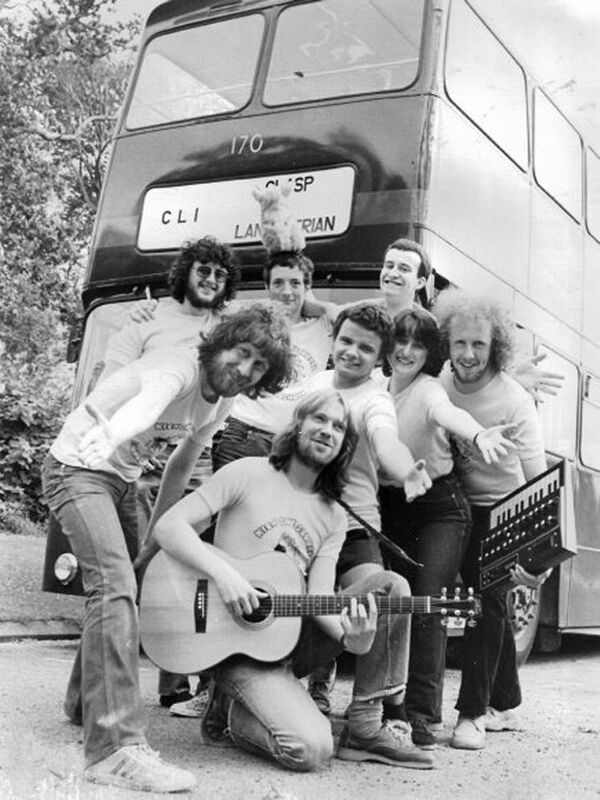 The North West tour of 1982. 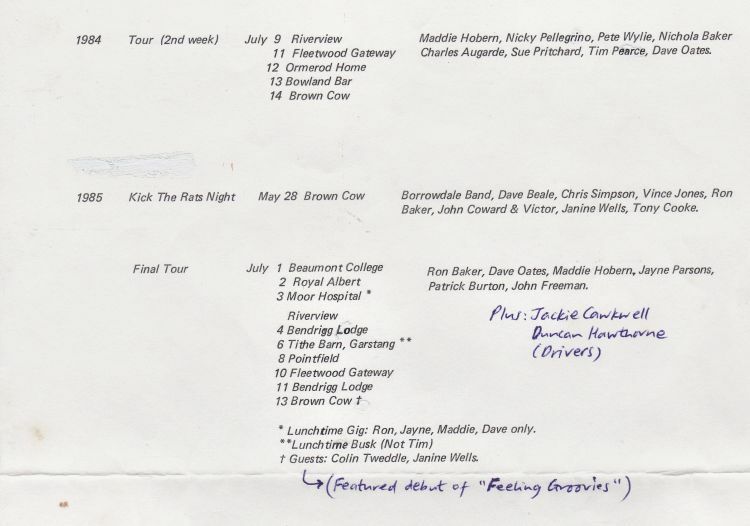 The tour bus and Vince's mileage log. 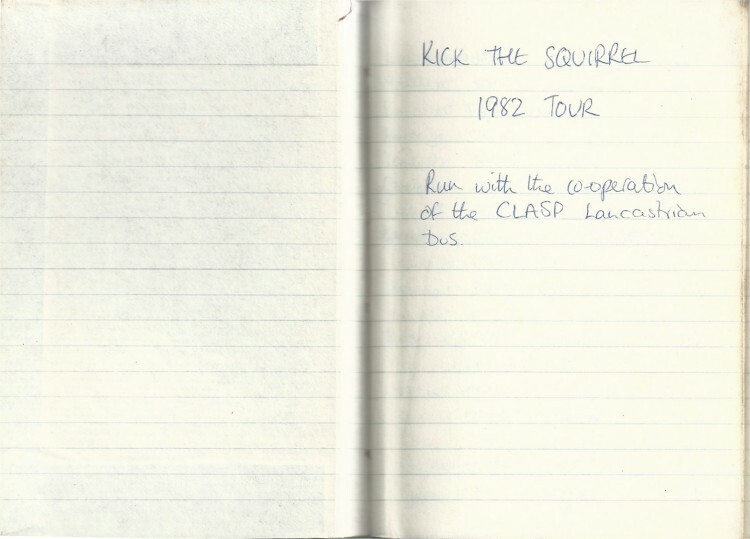 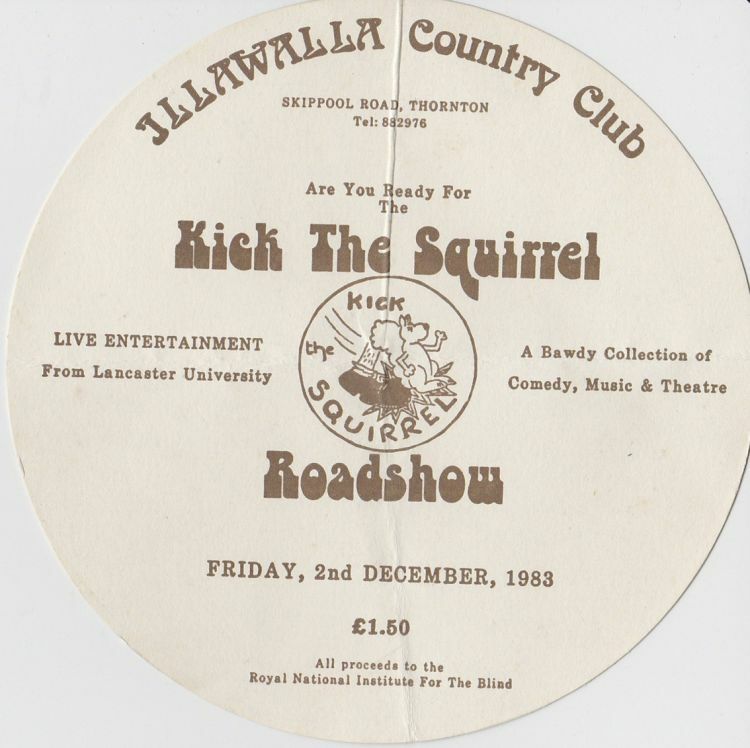 Do you have any additional information regarding Kick The Squirrel?